Our guys have been working on slate roof problems and projects in this area for many years. And as they say the more you work on specific projects, the more experience you gain, and hence the better at problem solving and specific craftsmanship to suit the area. If you need a quote or advice for any of the above services Contact John on 0403022137 for fast service. Our customer was an owner builder who also just happened to be a commercial architect. The home was a typical Victorian era weatherboard cottage located in one of Albert Park’s premier streets. The cottage over the years had become fairly rundown through lack of maintenance more than anything else. However, it did retain all the original sought after desirable features of a Victorian home. Features such as, four panel original front door, triple sash double hung window at the front, decorative cast iron frieze lace work, concave curved front verandah. 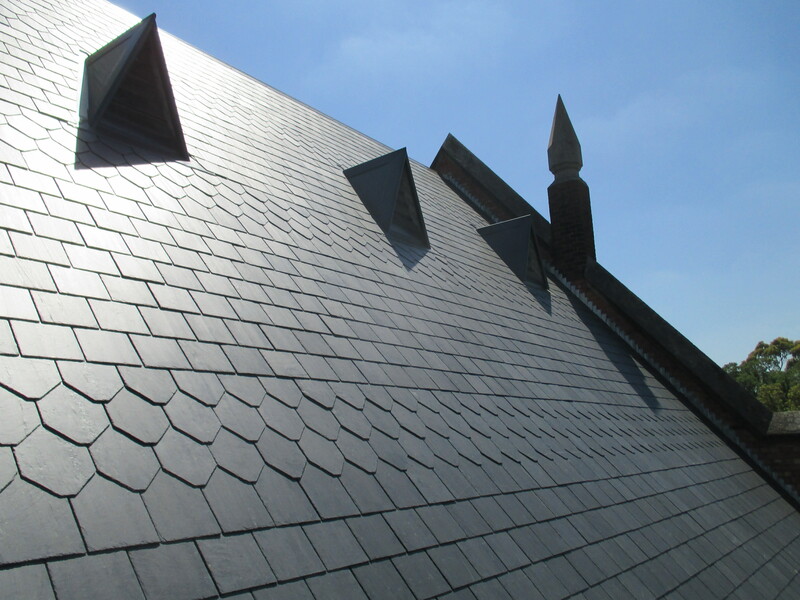 It also retained its original slate roofing tiles. Our customer asked us to completely inspect and evaluate the slate tiles as well as all associated metal parapet wall gutters, chimney flashings and roll top ridge cappings. In Melbourne we offer a free of charge slate roof inspection and evaluation service to all homeowners. 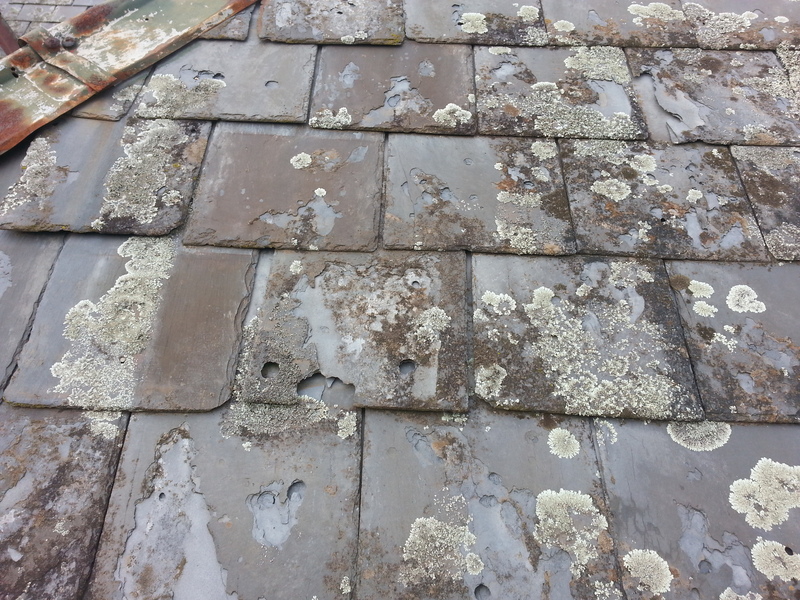 What we found on this Albert Park roof was fairly typical for slate roofing in the area. It hadn’t had much repair work and minimal maintenance done for many years. 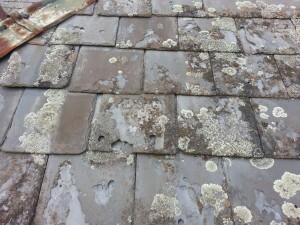 We found many damaged and broken slates, the parapet wall gutters were showing extensive corrosion and the chimney soaker flashings were holed and leaking slightly. The damaged and broken slates could have been easily replaced but the major problem here was that the rest of the slates were very soft and flaking apart. 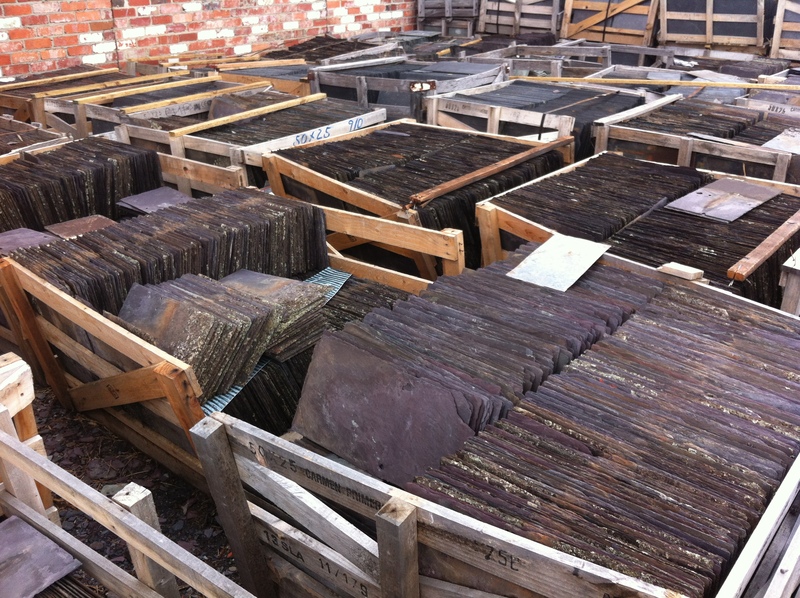 They were the original English Delabole slates around 140 years old and were nearing the end of their serviceable lifespan. These slates must have been very popular in the mid to latter 1800’s as they are very common around Melbourne’s inner suburbs even today. They are all nearing the end though and we replace quite a few roofs with this type of slate that’s now no longer water tight. 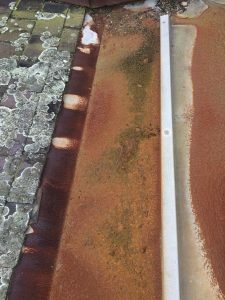 The other big problem that we found with this roof was the parapet wall gutters were showing signs of heavy corrosion. These gutters were located around three perimeter wall boundaries. Any rust holes that would have eventually developed can cause consistent leaking. Sometimes this leaking begins to show itself as small rust colored stains up on the ceiling and may even go unnoticed for many months as it quietly damages plaster and ceiling timbers. Other times with heavy or constant rains these rusted gutters can allow lots of water to penetrate into the home and cause heavy flooding. You need to remember all gutters are collection points for rain water. They leak a lot more than say a damaged or missing couple of roof slates. The homeowner in this case chose to have a complete new slate roof installed. He also chose to have a fully guaranteed top quality slate tile with a 100 year warranty. There really is no use in choosing a low grade slate that has no certification and may only last 15-20 years. For the small amount of dollars saved it doesn’t really justify the savings in our view. 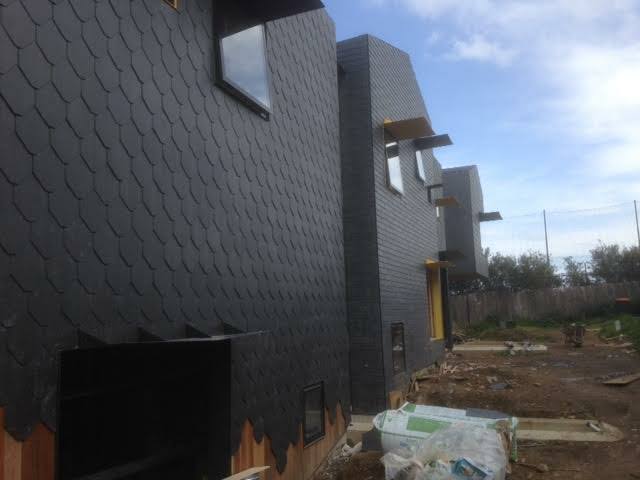 Under the slate tiles we installed heavy duty insulation sarking and new oregon slate battens. As well as the slates we replaced all the parapet wall gutters, the chimney soaker flashings and the roll top ridgings. This home will now have a long and trouble free roof to protect all the fine interior restoration work that the owners have done. 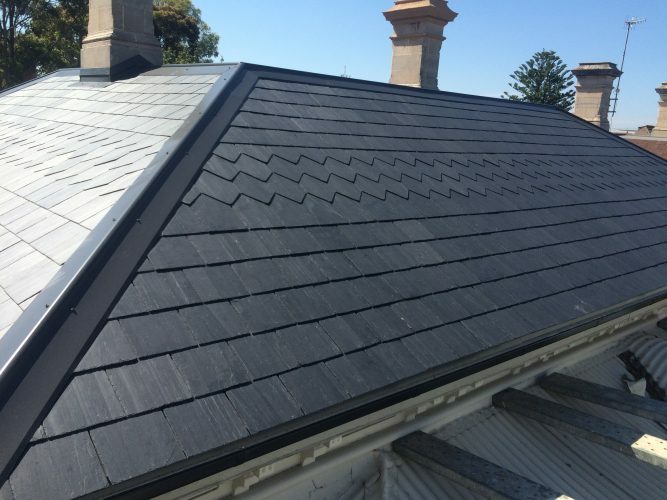 We supply our slate roofing services to all areas of Melbourne and country Victoria. 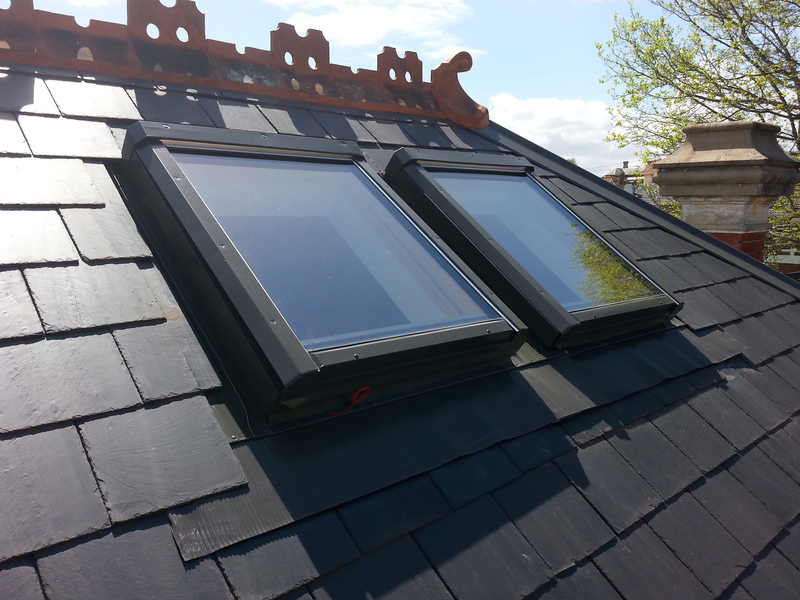 We also offer a supply only service for roofing slates, oregon battens and accessories.